RLD chief Ajit Singh hits out at a senior BJP leader, saying the latter's parents didn't teach him the virtue of telling the truth. 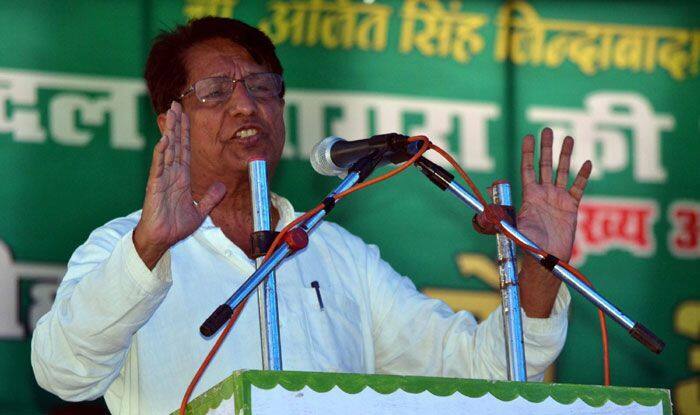 New Delhi: Rashtriya Lok Dal (RLD) chief Ajit Singh took personal digs, supposedly at a senior BJP leader, while addressing a rally in an Uttar Pradesh town ahead of the Lok Sabha elections. Ajit Singh is not new at directing barbs at his political opponents, earlier this year, he ran into a controversy for calling PM Narendra Modi, Uttar Pradesh Chief Minister Yogi Adityanath and Union Minister Smriti Irani as “bull, calf and cow”. During his ‘Kisanon se Samvad’ (dialogue with farmers) event at Kosi Kalan in Mathura in January, Singh had said it was the virtue of democracy that the people had the right to change a prime minister after five years if they got a “wrong” one. “I read in newspapers these days that your cows, bulls and calves (gai-bail-bachhde) are roaming around a lot,” he said in an apparent reference to the stray cattle menace. “You are locking them up in schools and colleges. People call them Modi-Yogi. Is that right?” he added. “Some people also say that a ‘hatti-katti gai’ (well-built cow) has come. Smriti Irani is also moving around,” Singh had said. He then further led the public in chanting slogans like ‘Modi Haye Haye’ and ‘Modi Bye Bye’.